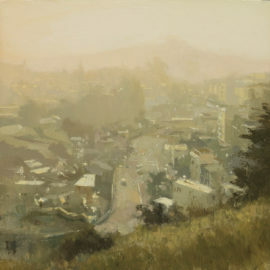 He received his B.F.A of Fine Art Painting from the Academy of Art University, San Francisco in 2009. 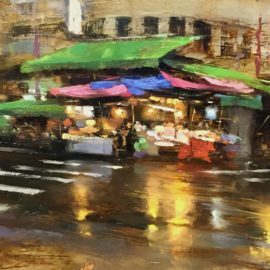 The subjects he chooses to explore include landscapes, the figure and still-life using bright color and expressive brush-strokes. 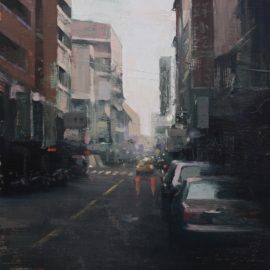 The word “explore” is chosen purposely to describe Hsin-Yao’s artistic drive and evolution as a fine artist. He will experiment with technique using his medium to accentuate the intrinsic personality of his subjects and themes. 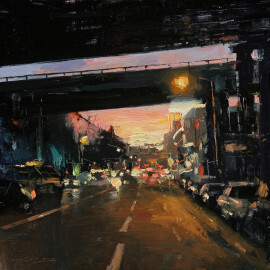 An urban scene will be expressed in a more organic, edgy manner causing him to use his medium in a bit more aggressive and spontaneous fashion, while painting figure requires a more gentle and cautious hand. 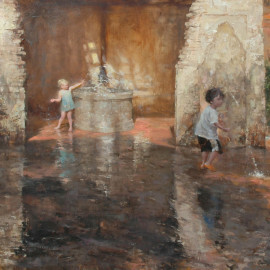 Tseng made top finalists at the Art Renewal Center 2008/2009 Salon, top 50 in the 2009 Salon International, earned Second Place in The Artist’s Magazine’s 25th annual contest- Portrait/Figure, and Third Place in the International Artist Magazine (June/July 2008). 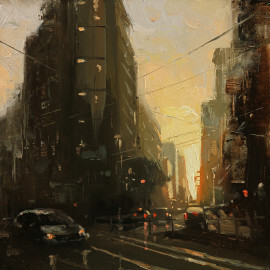 Hsin-Yao is consciously on a mission and it shows in his work. 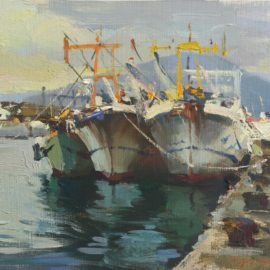 His dedication and passion to break artistic barriers in his painting are apparent when approaching a collection of his paintings wherever they are exhibited.